It felt so good to shower after getting back from our Gobi Desert trip! 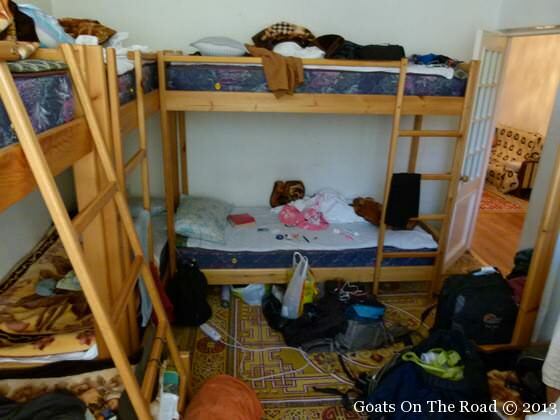 As soon as the 6 of us walked into our hostel the owner told us we all stunk like camels and goats. After washing away our stench, we all hung-out, relaxed and swapped photos before going to bed, totally exhausted. 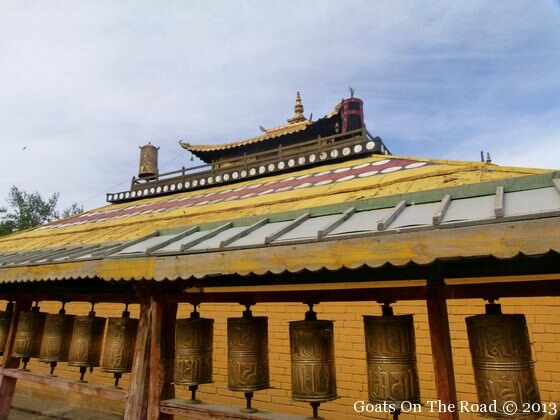 The next day in Ulan Bator, Nick and I were up early to go to the biggest monastery in the city, the Gandan Khiid. Buddhism is a very important part of the Mongolian culture, with 80% of the people here believing in Mahayana Buddhism. We had heard that the resident monks perform an enchanting ceremony around 8:30am and we didn’t want to miss it. 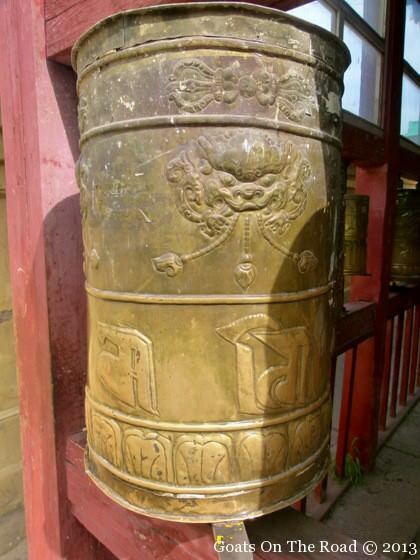 When we arrived there were 2 monks banging a large bell to commence the ceremony. We quickly took our seats inside the monastery and enjoyed the trance-like state we were in while listening to the monks chant in unison. Bells were ringing, cymbals were being clinked together, snuff was being sniffed, money was being given in exchange for a blessing, and rice and milk were shared with the monks. After about an hour of chanting, the monks pulled out a long colourful scarf and to the sound of bells and harmonic chanting, they began to create a circle, while engulfing as many people as possible inside of it. People were scrambling and pushing their way into the colourful enclosure, while Nick and I just stood back and watched. Unfortunately, cameras weren’t allowed in the monastery, so you’ll have to use your imagination on this one. Once the ceremony was over, we were back to running our errands for the day. 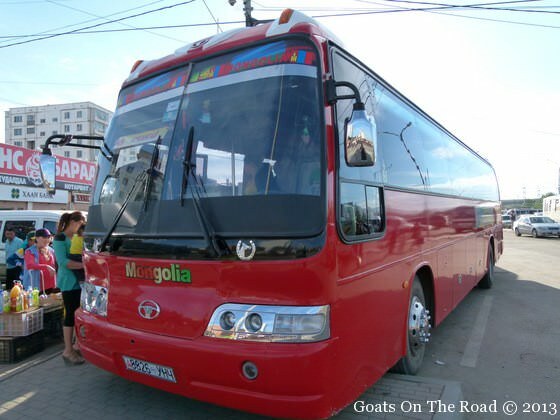 We wanted to go to the village of Tsetserleg the following morning and needed to get to the bus station to buy a ticket. We had so many issues trying to buy this bus ticket! The station was a mess, with people swarming around trying to get us to fill up their minivan to “such-and-such” a town. We kept saying “Tsetserleg” and no one knew what we were talking about. 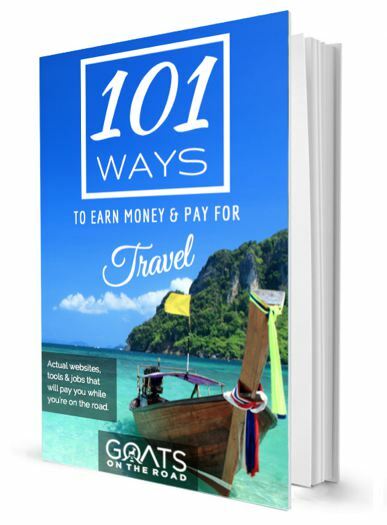 We tried phoning some guesthouses in our guidebook to figure out why no one was understanding us, and wouldn’t sell us any bus tickets. No one was answered and the numbers were apparently all wrong. We finally got ahold of someone and it turned out the name of the town had been changed to Erdenebulgan and the area code had changed as well! After lots of frustration, we were finally able to buy tickets to the correct destination. Our 3-year-old guidebook told us the ride would be over 12 hours on a very bumpy road, so we were expecting the worst. When our shiny red bus pulled into the station and we sat in our comfy seat, we knew that the book must be outdated! 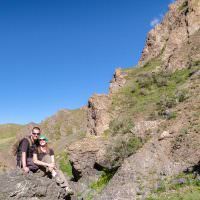 We drove along on a wonderfully paved road for about 9 hours before arriving in Tsetserleg. We lucked out and arrived on day 3 of the 3 day Naadam Festival! The only downside to this was the fact that all of the accommodation was booked up. 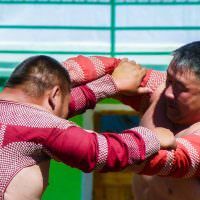 We contemplated setting up our tent somewhere just outside the city but were advised against it – this festival is a time for drinking fermented mare’s milk and vodka and apparently many of the Mongolian men can get a bit rowdy around this time. Being out in the middle of nowhere in a tent didn’t seem like a great idea. So, we checked into the only available room in the village, Sundur Hotel. From the outside, the hotel looked haunted. From the inside, it didn’t look any better. It was up there on our list of really bad hotels, like the one we stayed at in Beirut, Lebanon. It was old, run down and the door to the room was easily opened by sliding a credit card down the side of it. There were no working lights in the room so Nick made his way around to some other rooms and stole their lightbulbs. The toilet was horrendous, there were dead spiders on the floor and the bathtub was rusty and dirty. Plus, the water wouldn’t stop running! It wasn’t just dribbling out of the tap, it was pouring out, all night. Not only did the place look haunted, but a woman at a cafe earlier had told us that the local people believe that the place is actually haunted and that a woman felt herself being pulled from her bed one night! Needless to say, I didn’t sleep a wink that night. The following morning we got up and left as quickly as we could. We checked into the fabulous Fairfield Guesthouse, a non-haunted, clean, amazing place run by an Australian couple. We got settled in, had a glorious hot shower and prepared to check out the Naadam Festival! 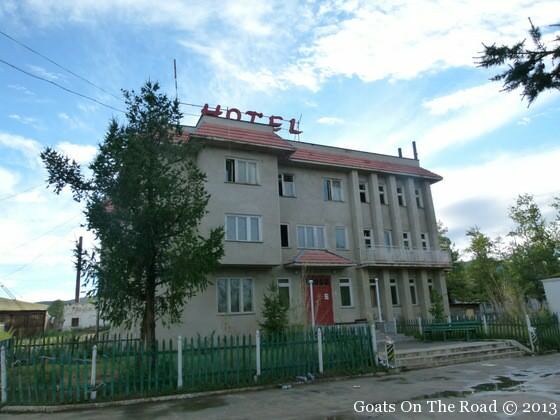 What’s the worst hotel you’ve ever stayed at? Was it haunted?! That’s super creepy! I don’t think I would’ve been able to sleep either. The ceremony with the monks sounds amazing. A haunted hotel is one thing – a dirty hotel with dead spiders and leaky water is worse. I’d take the ghosts! No luxury, what great post. 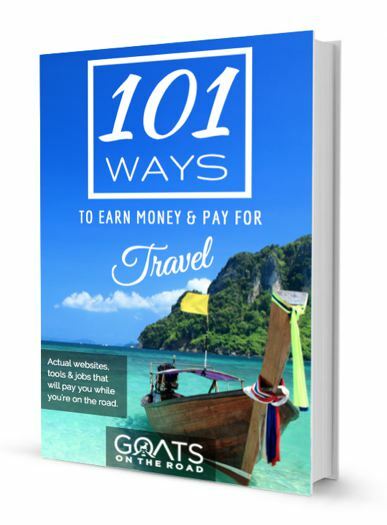 Small and comfortable hotels or hostels are they way you really can learn about a destination, culture or society. 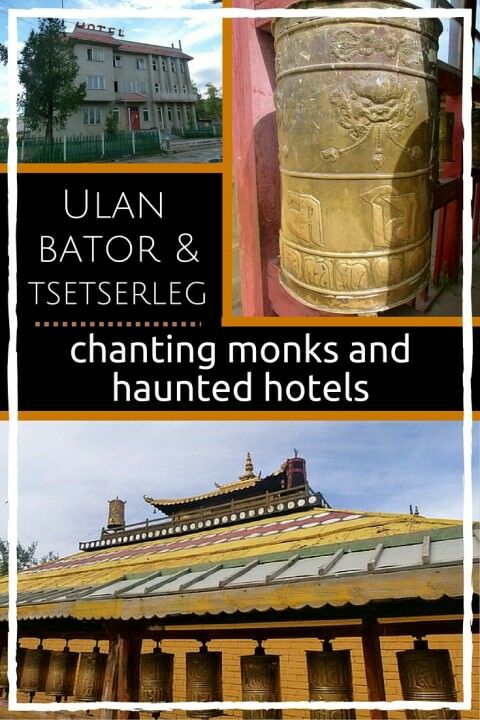 Yeah, you’ll encounter lots of things that look haunted here in Mongolia. I’m Mongolian and never stayed in one of those small dirty hotels. You should be very careful wherever you are in this country. People are not so kind and helpful.